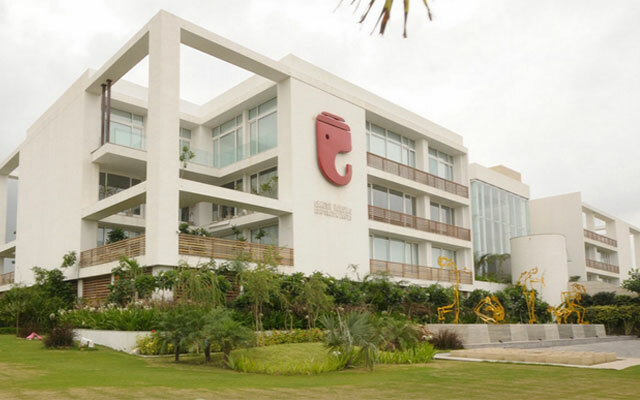 Piramal Fund Management, the real estate investment platform of Piramal Enterprises, has forayed into the Tier II market by investing in Ahmedabad-based public listed developer Ganesh Housing, the company said in a statement. Piramal has invested Rs 225 crore ($35 million) in the form of debt, of which Rs 200 crore is for land acquisition and the rest for working capital. The developer has purchased a 10-acre land parcel with 1.8 million saleable area in Thaltej, Ahmedabad for Rs 389 crore. It has put in Rs 189 crore towards the transaction. The project is envisaged to be developed as a mixed use scheme with a combination of residential apartments coupled with both commercial as well as a high street retail component. Typically, developers and lenders don't tie up for debt deal at land acquisition stage. Developers take private equity funding at this stage and later resort to debt and construction finance as the project progresses. Equity funding at initial level of a project is considered a high risk-high return model. “Normally, we don't give debt for land acquisition stage but the location of the project and past record of the developer have given us the confidence to lend debt at this stage,” said Khushru Jijina, managing director, Piramal Fund Management. This is the first investment of Piramal in a Tier II market. It has so far looked at only top realty markets such as Mumbai, Pune, Bangalore, NCR and Chennai for investment through realty PE funds and its debt arm. The company has been analysing Tier II cities selectively and intends to scale up its exposure to these locations gradually. It is looking at Tier II markets from a long-term perspective and has added markets which are expected to grow in two-three years, according to Jijina. It has shortlisted cities like Ahmedabad (where it has sealed the deal), Kolkata, Coimbatore, Nasik, Nagpur and Jaipur where it will be collaborating with the top five developers of from each city. It is evaluating proposals from these markets and is expected to seal another deal in 60 days. On the private equity side, the firm has fully committed its fifth domestic fund and is all geared to launch its sixth fund. “We will be launching the fund in 20 days as we have fully exhausted our latest fund,” Jijina added. In terms of deals, the firm recently closed one of the largest transactions in residential real estate with a Rs 1,200 crore investment in Mumbai-based Omkar Realtors. The deal was structured in an interesting way where the developer raised capital against its 20:80 scheme. Piramal is known for providing capital across the lending spectrum with PE funds, construction finance, etc. Currently, Piramal manages/advises funds worth over Rs 7,550 crore on the equity side and has disbursed Rs 3,000 crore as part of proprietary debt loan book. As for the developer, it has a strong presence in and around Ahmedabad having delivered 22 million sq ft since its inception in 1960. It has a project pipeline under development of around 2.5 million sq ft.
Its presence is tilted towards residential with a small portfolio of commercial projects too. As of December 2014, it clocked revenue of 43.31 crore, down from 45.83 crore in the previous quarter. Its turnover is around Rs 180 crore as of third quarter of FY15. Listed players raised funding recently include Bangalore-based Puravankara and Ashiana Housing.